Nuts are exceptionally delicious, filling and nutritious, and their countless beneficial properties make them an utterly indispensible addition to a healthy, balanced diet. But did you know that this nutrient-dense superfood might actually save your life? Indeed, according to a comprehensive Dutch study, just half a handful of nuts a day could substantially lower your risk of early death. To discover how you can benefit from a longer life expectancy, read on! Vitamins – such as vitamin-E, which helps to maintain the integrity of the cells of mucus membranes and skin, and B-complex vitamins, including riboflavin, niacin, thiamin, pantothenic acid, vitamin B-6 and folates, which help to promote optimum health and well-being. Minerals – such as manganese, potassium, calcium, iron, magnesium, zinc, fluoride and selenium. Protein – which is crucial for the healthy growth and repair of your body tissue, including muscles, internal organs and skin, and is also an excellent source of energy. Fibre – which helps to keep your digestive system healthy and reduce your risk of a number of lifestyle diseases, such as heart disease, type 2 diabetes and certain types of cancer, including bowel cancer. Foods that are high in fibre also help you to feel fuller for longer, enabling you to control your appetite and maintain a healthy weight. Monounsaturated and polyunsaturated fatty acids – such as oleic and palmitoleic acid, which help to lower LDL (bad cholesterol) levels and increase HDL (good cholesterol) levels, as well as linoleic acid, a-Linolenic acid (ALA), eicosapentaenoic acid and docosahexonic acid, which can help to reduce your risk of high blood pressure, coronary artery disease and stroke, in addition to breast, colon and prostate cancer. Antioxidants – including carotene, resveratrol, lutein and cryptoxanthin, which may offer protection against cancer, heart disease, degenerative nerve disease, Alzheimer’s disease and viral/fungal infections. Other bioactive compounds – compounds that have a beneficial effect on a living organism, tissue or cell. 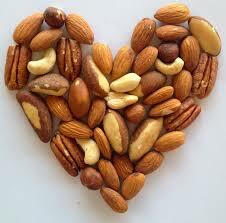 A significant amount of research has already linked nuts to a beneficial effect on heart health, but a more recent study at Maastricht University in the Netherlands now suggests that the regular consumption of nuts additionally results in a reduced risk of premature mortality from cancer, diabetes, respiratory and neurodegenerative diseases (an umbrella term for a range of conditions which primarily affect the neurons in the human brain, such as Parkinson’s, Alzheimer’s and Huntington’s disease). According to Prof Piet van den Brandt ‘it was remarkable that substantially lower mortality was already observed at consumption levels of 15g of nuts or peanuts on average per day.’ It is worth highlighting that the same health benefits do not apply to commercial peanut butters, which are notoriously high in salt and trans fats, and thus best avoided. Want to benefit from a longer life expectancy? Who wouldn’t? You can start by enjoying a daily handful of one of the three delicious varieties of nuts detailed below. In addition to making a sensible raw snack between meals, these yummy nuts are an ideal topping on breakfast granolas and salads and the perfect ingredient in homemade trail mix, raw chocolate and energy bars. Almonds were cultivated as long ago as 3000 BC and traditionally used to prepare almond paste, marzipan, nougat, almond oil and almond milk. A popular ingredient in skin care products since ancient Egyptian times, this mineral rich superfood (just 25 organic almonds contain as much calcium as 1/4 cup of milk!) is today renowned for its remarkable ability to boost energy levels, strengthen immunity, combat obesity (a study in the International Journal of Obesity demonstrated that those eating a restricted diet with added almonds shed considerably more weight than those who didn’t), stimulate muscle recovery and growth, balance cholesterol levels, prevent high blood pressure and reduce the risk and manage the symptoms of many contemporary diseases, including Parkinson’s, Alzheimer’s, osteoporosis (brittle bones), arteriosclerosis and diabetes. These kidney-shaped nuts boast a rich, creamy flavour and are literally bursting with beneficial nutrients that can do wonders for your health and your waistline. Like organic almonds, organic cashew nuts can help to keep your heart and cardiovascular system healthy, maintain strong teeth and bones and promote natural, sustainable weight loss. In addition, organic cashew nuts contain powerful antioxidants, such as zea-xantand, which helps to combat the harmful effects of free radicals and prevent premature aging, and proanthocyanidins – a special type of flavonol that’s believed to halt the multiplication of tumour cells. 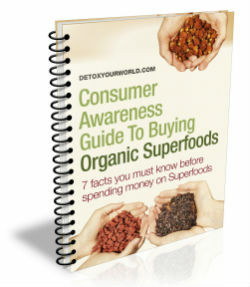 Their high copper content has also been directly linked to a decreased risk of colon cancer.